Mr. Casler has over 32 years of experience in construction and environmental consulting and contracting. Mr. Casler founded CRG Texas Environmental Services with his wife Nubia. He has conducted extensive environmental consulting activities, including: conducting Phase I, Phase II, and Phase II ESA activities; His expertise in planning and execution of environmental site assessment, spill response, and remediation-corrective action sites is exceptional in delivering high quality consulting and contracting services to our clients. Mr. Casler’s licenses and certifications include but is not limited to: TCEQ Registered Corrective Action Specialist (RCAS), TCEQ Corrective Action Project Manager (CAPM), and TCEQ Licensed On-site Supervisor (LOSS), where his practical experience is focused on commercial property, manufacturing, and industrial real estate environmental due diligence, site assessment, and corrective action. Mr. Casler will provide senior level management, client interaction, contract execution, and subcontracting throughout the USA. Mr. Hogue has over 31 years of environmental compliance, assessment and remediation experience. Mr. Hogue is a registered professional geologist and a Certified Hazardous Materials Manager. Mr. Hogue has extensive experience in the management of complex environmental investigations, corrective action and regulatory negotiations, health and safety programs and projects on behalf of a diverse client base including: oil and gas exploration, production, and transmission companies. He has managed and worked for federal, state and local regulatory agencies; law firms; industrial clients, local governments and private owners overseeing the response action planning and implementation. Mr. Jackson has over 35 years of environmental compliance, assessment, and corrective action experience. Mr. Jackson is a Board Certified Environmental Professional (CEP), and provides ongoing support to the American Board of Environmental Professionals as a Mentor to aspiring CEPs. Mr. Jackson is a TCEQ Corrective Action Project Manage (CAPM) and Licensed On-Site Supervisor for Underground Storage Tank Removals and Remediation. Mr. Jackson’s expertise as an environmental scientist, senior project manager, and client service manager is exceptional high-quality services in environmental assessment and compliance. Mr. Jackson has worked with federal, state and local agencies, with private property owners and developers, and with industrial and manufacturing clients to bring environmentally distressed properties due to major disaster events into post productive use while reducing environmental risk exposure throughout the USA. 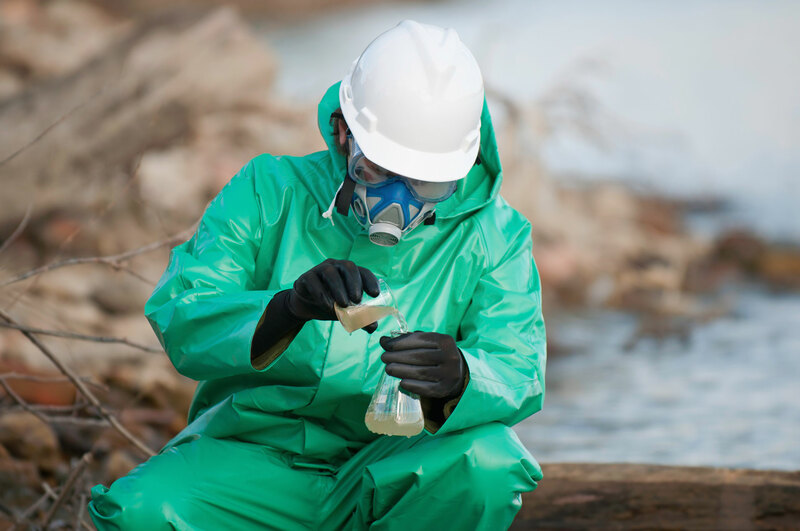 Mr. Voorhies is a senior level environmental scientist with over 25 plus years of experience in all aspects of due diligence including Phase I and Phase II assessments, asbestos and mold, and corrective action remediation and abatement. Mr. Voorhies has carried out numerous assignments on Federal, State, County, and local government sites; at industrial, chemical plant, and manufacturing sites; and at farm & ranch and oil & gas exploration and production sites throughout Texas and in many states throughout the USA. Mr. Duke has over 24 years’ experience with all phases of site assessments, surface and subsurface investigations, site characterization and remediation of contaminated land, and environmental inspection for natural gas facilities construction. Mr. Duke has also conducted subsurface investigations and remedial efforts for sites located in the Caribbean and Central America and is well experienced at managing programs to ensure the safety of field personnel. Mr. Duke earned his Bachelor of Science degree in Hydrology from the Tarleton State University. He gained his practical environmental consulting experience while employed for 10 years by a national environmental company, USA Environmental of Houston, Texas. His work experience includes environmental health and safety, environmental due diligence, regulatory agency and client reporting and correspondence, soil and groundwater investigations and remediation, hydro-geological field testing and installation of groundwater monitoring wells, soil borings, underground storage tank design for installations and upgrades, and UST removals and release determination reporting to the Texas Commission on Environmental Quality (TCEQ). Mr. Duke is also licensed and experienced in preparation and submittal of TCEQ Petroleum Storage Tank (PST) Division reports, soil and groundwater assessments, and corrective action for responsible party remediation (RPR) under the Leaking Petroleum Storage Tank (LPST), Voluntary Cleanup Program (VCP), and Texas Risk Reduction Program (TRRP) in Texas. Mr. Cardenas is an environmental scientist with over 5 years of relevant work experience in soil and groundwater assessment, corrective action, and reporting. His expertise lies in Phase I and II environmental site assessments of commercial, manufacturing, industrial, farm & ranch, and oil & gas facility due diligence and petroleum storage tank assessments in Texas. Mr. Motta is an environmental technician with 2 years of relevant work experience in soil and groundwater assessment, corrective action, and reporting. His expertise lies in Phase I and II environmental site assessments of commercial, manufacturing, industrial, farm & ranch, and oil & gas facility due diligence and petroleum storage tank assessments in Texas. Mr. Motta has also been instrumental in underground petroleum storage tank removal, assessment, corrective action, and TCEQ reporting projects in Texas. Mrs. Casler’s work experience spans over 23 years of environmental and telecommunications consulting for government and corporate accounts. Mrs. Casler gained her practical environmental and construction and design build experience while employed for 15 years by a national telecommunications company in Bogota, Colombia. Her responsibilities include: Environmental Due Diligence Management, Marketing and Sales, Intelligent Building Design, Personnel Management, Customer Service, and Quality Control. Her experience is in new construction, existing renovations, and build-outs includes Private, Federal, and Municipal construction projects. Mrs. Casler has over 12 years of financial and environmental consulting experience. Mrs. Casler controls the business development, growth planning, and financial management aspects and is involved in the day to day operations of the company. Mrs. Casler also manages the strategic planning and benefits for employee partnership that promotes professional, technical, and personal growth for each employee of CRG Texas. Her relevant work expertise includes: business and marketing plan development, project personnel management and skill development, financial planning and control of all cash flow, client and subcontractor relations, diversity, human resources, and quality control. Mrs. Casler holds a bachelor’s degree in Marketing from the Colombian Marketing School in Colombia. She has been in the United States over 15 years working in commercial real estate and financial consulting, and environmental consulting areas. Mrs. Casler is an active member of the National Association of Minority Contractors (NAMC), the National Hispanic Professionals Organization (NHPO), the National Association of Credit service Organizations, and the Women in Business EMPRETEC program sponsored internationally. It is dedicated to helping promising entrepreneurs put their ideas into action and fledgling businesses to grow. Ms. Casler is an active member of the Central Fort Bend Chamber Alliance and River Pointe Community Church and provides charity support for the Friends of North Richmond. Nubia is a scholar of the Goldman Sachs 10K Small Businesses program at Houston Community College, has graduated from the Port of Houston Small Business University program, and has certified CRG Texas as a Small Business Enterprise with the City of Houston, METRO, the Port of Houston, and the Federal Government Central Contractor Registry. Ms. Casler recently graduated from the US SBA Emerging Leadership program, and On March 8th, 2018, Nubia Casler, President of CRG Texas and Credit Recovery Group, at the 11th annual Tribute to Hispanic Women was honored with a City of Houston Proclamation as a Women in Business of the Year. Ms. Casler continues to provide executive leadership, professional development, and direction for the firm’s growth. Mrs. Frey manages the office operations day to day and brings extensive administrative and financial experience to her position in which she has been connecting people, products, and solutions for over 20 years. Mrs. Frey joins CRG Texas from a builder and construction companies where she most recently served as the Office Manager and lead many initiatives to grow the company’s workforce and to connect with clients for a better service. Melinda manages our office and field staff health benefits, payroll and expenses, and fleet maintenance. Melinda is an integral part of the employee partnership program and assists the owners with key management tasks to foster growth of our personnel and our office.